I'm 2 months in with my APAP. For the last week or so I've been waking up all night with coughing due to post nasal drip and my ears are blocked each morning. I've been using my net pot a few times per day, steroid nasal spray and taking an antihistamine. I know that I must be getting congested when I sleep and the pressure from the APAP is helping the fluid to stay up in my ears and sinuses. Does anyone have any suggestions of how I can be more comfortable? I'm hoping that this won't last for the entire allergy season (most of the year in California). 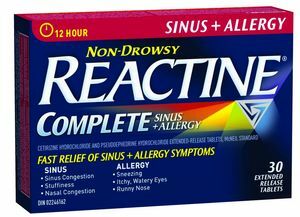 When it gets really bad for me and humidity, nasal sprays or other antihistamines don't work, one thing that helps is to take a couple of (over the counter) Reactine Sinus + Allergy tablets a couple of hours before bedtime. In fact, it's the only thing that really works when all else fails. That said, it's probably important that you consult your physician.